Anyone who was present in the Amazon Room on June 24 to watch the 2009 World Series of Poker got to witness poker history, and they watched it take place in dominating fashion. Jeffrey Lisandro took home his third gold bracelet of the summer and $188,730 when he won event No. 44 ($2,500 seven-card razz). 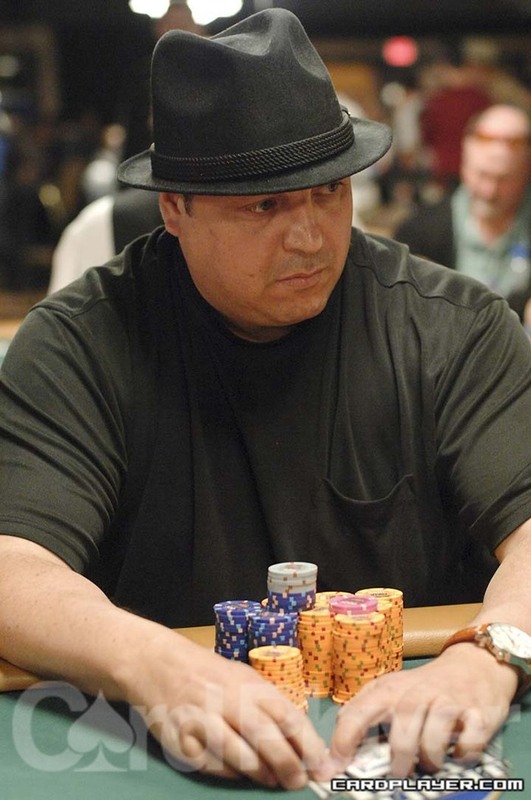 Lisandro has now cashed six times at the 2009 WSOP, and he has won $807,486. Lisandro has defeated a combined total of 835 players to win his three bracelets. The win also gave Lisandro 3,018 points in the Card Player Player of the Year race, which currently puts him in fifth place. The final day of the event started with 13 players, and some big names fell on the way down to the final table, including Nikolay Evdakov (13th), Ville Wahlbeck (12th), and Al Barbieri (11th). The final table was tough, as well, with Allen Bari, Kenna James, and noted poker author Michael Craig in the mix, but nothing could stop the momentum that Lisandro had built up at that point. He won the final table in two hours and 40 minutes, making it the shortest final table of the 2009 WSOP through 44 events. Especially impressive considering that razz is a limit game, noted for its conservative play. Lisandro completed a seven-card stud trifecta for the summer with his latest bracelet win. His victories in event No. 16 ($1,500 seven-card stud), event No. 37 ($10,000 seven-card stud eight-or-better world championship), and tonight’s seven-card razz event give him a bracelet in each stud discipline. Lisandro now holds four bracelets for his career, his first came in a $2,000 seven-card stud event in 2007. Kenna James brought it in, and Allen Bari completed. Ryan Fisler called, and James got out of the way. Fisler bet on fourth street, and Bari called all in. By seventh, Bari could only manage a Q-8 low, which was easily bested by Fisler’s 9-6, eliminating him from the tournament. Michael Craig brought it in, and Warwick Mirzikinian completed. Steve Diano called, Craig folded, and both player got the rest in on fourth. After all the cards were dealt out, Mirzikinian’s 8-7 low easily beat Diano’s J-7, busting him from the tournament. Kenna James completed, and Michael Craig called. Craig bet on fourth, and James called all in. The 7-6 low of Craig eliminated James in sixth place. Eric Rodawig was all in on third street against Jeffrey Lisandro. Lisandro hit a 10-9 on sixth street, and Rodawig had drawn so poorly that he was already dead. Rodawig made his exit in fifth place. Ryan Fisler brought it in, and Jeffrey Lisandro completed. Warwick Mirzikinian called, and Fisler folded. On fourth street, Lisandro bet, Mirzikinian raised, and Lisandro called. Lisandro bet again on fifth, Mirzikinian raised all in, and Lisandro called. By the end, Lisandro had made a 7-6 low, and Mirzikinian bricked to make a 10-8, sending him to the rail. Michael Craig completed, and Ryan Fisler raised all in. Craig called and made a very strong 6-5, busting Fisler who could only turn over a king-low. Jeffrey Lisandro completed, and Michael Craig raised. Lisandro called, and Craig got the rest of his chips in on fifth street. By the final card, Craig had bricked hard, making a king-low, and Lisandro’s 10-low was enough to win the tournament, earning Lisandro his third bracelet of the 2009 World Series of Poker! Not since Phil Ivey’s performance in 2002 has a player won three bracelets in the same year. With his third bracelet of the summer, Jeffrey Lisandro has proven to be one of the best stud players on the planet and has all but locked up WSOP Player of the Year honors. It will take another bracelet by Brock Parker, Ville Wahlbeck, or the aforementioned Ivey to catch the red-hot Lisandro.